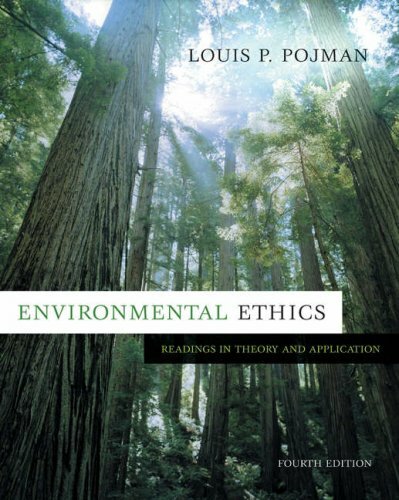 The most comprehensive introduction to environmental ethics available, ENVIRONMENTAL ETHICS offers students a current look at the issues and topics that dominate the field today, organized into two main parts that take students seamlessly from theory to application. This Sixth Edition of the Pojmans' popular anthology, like its predecessors, includes numerous topic areas not covered in other anthologies. Featuring articles carefully selected for clarity and accessibility, the text follows a dialogic pro-con format presenting divergent positions on each topic, ensuring that students are both exposed to and understand both sides of every topic so they can develop their own informed positions. 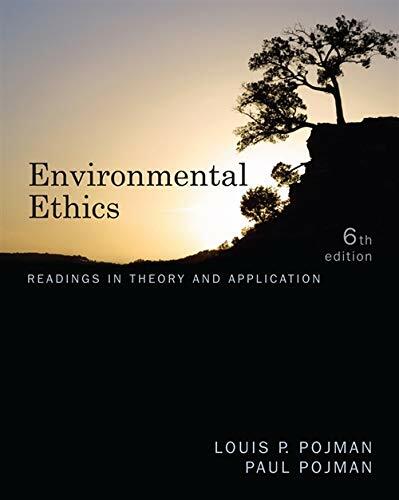 New selections include selections on Food Ethics and Climate Change and Energy Policy. Most of the royalties for this book are donated to groups dedicated to protecting the environment, such as the Wilderness Society and the Sierra Club. Paul Pojman completed his Ph. D. at Indiana University, in the department of History and Philosophy of Science. He is currently Assistant Professor at Towson University in the Philosophy Department, and Associated Faculty with the Environmental Studies and Science Programs. Pojman, Paul; Pojman, Louis P.